As we enter into the Easter Triduum, the Augustinians invite you to reflect back on the writing of our patron saint. Be a member of Christ's body, then, so that your "Amen" may ring true! But what role does the bread play? We have no theory of our own to propose here; listen, instead, to what Paul says about this sacrament: "The bread is one, and we, though many, are one body." [1 Cor. 10.17] Understand and rejoice: unity, truth, faithfulness, love. "One bread," he says. What is this one bread? Is it not the "one body," formed from many? Remember: bread doesn't come from a single grain, but from many. When you received exorcism, you were "ground." When you were baptized, you were "leavened." When you received the fire of the Holy Spirit, you were "baked." Be what you see; receive what you are. This is what Paul is saying about the bread. So too, what we are to understand about the cup is similar and requires little explanation. In the visible object of bread, many grains are gathered into one just as the faithful (so Scripture says) form "a single heart and mind in God" [Acts 4.32]. And thus it is with the wine. Remember, friends, how wine is made. Individual grapes hang together in a bunch, but the juice from them all is mingled to become a single brew. This is the image chosen by Christ our Lord to show how, at his own table, the mystery of our unity and peace is solemnly consecrated. He had the power of laying down his life; we by contrast cannot choose the length of our lives, and we die even if it is against our will. He, by dying, destroyed death in himself; we are freed from death only in his death. His body did not see corruption; our body will see corruption and only then be clothed through him in incorruption at the end of the world. He needed no help from us in saving us; without him we can do nothing. He gave himself to us as the vine to the branches; apart from him we cannot have life. The Resurrection of our Lord Jesus Christ is the new life of believers in Jesus; and this is the mystery of His Passion and Resurrection, which you ought well to know and to carry out in act. For not without a cause did Life come to death. Not without a cause did the Fountain of life, whence we drink in order that we may live, drink His cup which He was not bound to drink. For death was not Christ’s due portion. As to the question whence death has come, let us look to our origin. Sin is death’s parent. Had there been no sin, no one would have died. The first man received God’s law, that is, God’s commandment, on condition, that if he kept it he should live, if he violated it he should die. By not believing that he would die, he did what caused him to die; and found that to have been true which the Giver of the law had affirmed. Thence came death, thence man became mortal, thence came labour, thence misery, thence the second death after the first, that is, after temporal death, death everlasting. This tradition of death, this law of destruction, binds every man who is born, except that one Man who became Man that man should not perish. For He came bound by no law of death; therefore He is called in the Psalm, “Free among the dead;” whom in all purity a Virgin conceived; whom she as a Virgin bore, and remained a Virgin; who lived without sin, who did not die because of sin; sharing in our penalty, not in our offense. 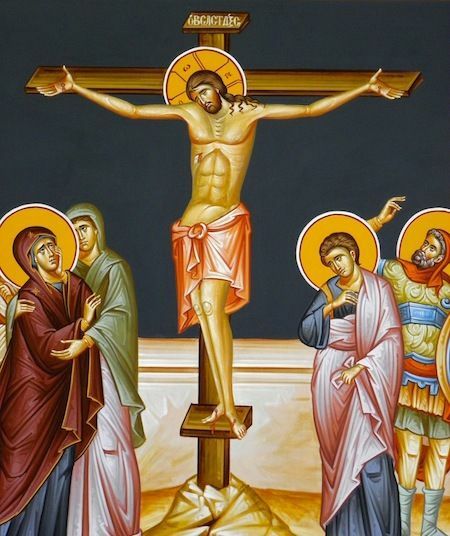 Death is the penalty of offense; our Lord Jesus Christ came to die, did not come to sin; by sharing in our penalty without our offense, He annulled both our offence and penalty. What penalty? That which was due to us after this life. So He was crucified, that on the Cross He might show the dying-out of our old man; and He rose, that in His own life He might show our new life. Similar to priestly ordinations, the solemn profession of religious vows takes place within the context of a Mass—ideally a Sunday or solemnity Mass. For those Catholics who have witnessed a profession of religious vows, they likely have noticed that the ritual looks, from the outside, very much like an ordination. We see a man called up to the altar; he answers questions; he lies face down and we recite the Litany of Saints; he kneels before the presider, makes vows, and is given a line of embraces from the attendant friars. The profession of vows, however, does not permit a friar to the exercise of any “sacred power.” And the Mass of profession excludes that very decisive gesture of the laying on of hands. Rather, within the Augustinian Rite of Solemn Profession, the friar asks that he be united “more closely to God” through a lifelong embrace of “of perfect chastity, poverty, and obedience.” Further, though the vow of the friar is made exclusively to the Order of St. Augustine—and his promise is specifically given to the Prior General of the Augustinians, who resides in the Roman Curia. This usually is done via the friar's local Prior Provincial. To learn more, please look at our most recent video of the Solemn Profession of Br. Jack Tierney, O.S.A. In one weekend, on two separate coasts, the Augustinians of North America ordained a priest and a deacon and received the solemn profession of vows of a religious brother. We are delighted to share with you some of our favorite photos of the ceremonies. On Saturday, December 15, the California Province celebrated the ordination of Fr. Maxime Villeneuve, O.S.A. to the priesthood and Dcn. Nicholas Porter, O.S.A. to the diaconate. The two were ordained by Most Rev. Robert McElroy, Bishop of San Diego, at St. Patrick Catholic Church. On December 16, 2018, Br. Jack Tierney, O.S.A. professed his Solemn Vows to Very Rev. Anthony Pizzo, O.S.A., Prior of the Midwest Augustinian Province, at St. Thomas of Villanova Church in Villanova, Pennsylvania. Br. Jack, native of Sun Prairie, Wisconsin, first found the Augustinians through the online service Vocation Match. In 2016, the Augustinians of North America received first vows from 11 men. Many of them are now spending their pastoral year in active ministry, before they return back to Chicago in the Fall of next year and resume their graduate studies at the Catholic Theological Union. Two of these men, whom we would like you to meet today, were Br. Joe Roccasalva, O.S.A. and Br. Sam Joutras O.S.A..
We would like to introduce you to Br. Dan Madden, OSA and Br. Maxime Villeneuve, OSA, two men from two coasts who came together in the Augustinian Formation House in Chicago. Augustinian life, in part, revolves around praying the Office. We are conscious of the importance St. Augustine placed on praying the Psalms, who believed that the Psalms are a history of the soul. The vow of poverty I took in August 2017 has proven to be much more of a gift than a sacrifice and is certainly far different than the Hollywood imagine I had when my discernment first began. In this video you will hear the testimonies of Br. Emmanuel and Br. Spencer and witness how their passion for serving God’s people brought them together from two very different backgrounds. The difficulties the Church now faces, in the wake of the recent report on clerical abuse by the grand jury of Pennsylvania, present a unique crisis for those men who are in the midst of discerning a vocation. For this reason, we would like to share with you the following reflections on the current scandal, the past actions of the Church, and what is needed as we (clergy, religious, and laity) move forward together.